Are the ten prototype cars part of the R211 order, or a separate order? Separate order. Something so substantially different being part of the same order has never happened with passenger equipment. I do hope it's successful, though I have no doubts about it. I cannot describe how blown away I was to see end-to-end on a Paris Metro train. Is it new, at least for here? Hm, I don't know about that front. It looks cool and ugly at the same time. That is an early artists conception. Final design is not done yet. I really think they should use a large LCD display for the roll sign (in the position of the MTA logo) and replace the current roll sign with a destination indicator such as the ones found in nearly every other transit system. That way, commuters will be able to tell which train it is, and terminal information will be available on the front as well. It would also make it easier for the cars to be used on the SIR, if they do in fact go there, because SIR doesn't really have a use for the small NYC bullets. It'd be more functional as far as knowing what subway route the train is traveling on without a doubt. Something they should consider. Thats what I had in mind as well. 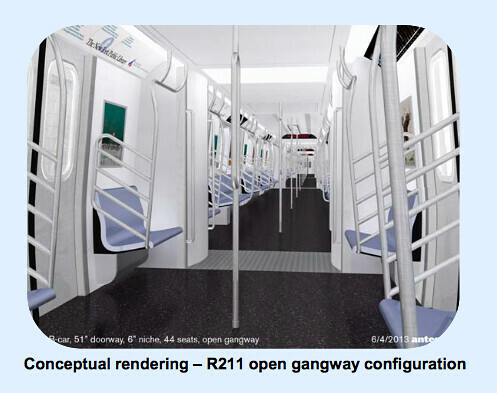 Going off the current CPOC materials, it looks like the MTA had been considering open gangway cars since at least 2013. Looking over the January 2016 CPOC document of the R211 section, on page 63 it shows the design concepts to how the train model would look like. I'm wondering if the design's are legit or just for show. For instance, I'm digging the end bonnet side of the train with the subway route identification on the right side, a similar style to some of the the current SMEEs and also am liking the "open gangway". Is it something the MTA is truly considering? 75 Cars for SIR! An increase in service! Oh joy. Homeless people will now stink up 5 cars instead of just 1. I’m sure everyone here has experienced this once: a homeless person stinking up a car so much that it stays empty for the entire run. At the very least, people will be able to move between cars. Reminds me a bit of London's new trains. And that is where heavier enforcement of squatters comes into play. In fact, since most of the homeless who do choose to publicly soil themselves are handicapped or mentally disabled, that would be a pointless exercise anyways. If they're not breaking the law, you have no basis for ejection, and if you have a problem with that you can take it up with the judicial system. According to my sister, on the LIRR, the employees do not tolerate homeless people boarding trains. When discovered, they are thrown out immediately. This probably has to do with lack of payment, however, but its side-benefit is keeping homeless people out of the system. There are probably existing rules that the police can act on to throw them out. Police have warned people on the train about taking up more than one seat, for example. And they can also eject anyone from the system without giving a reason. 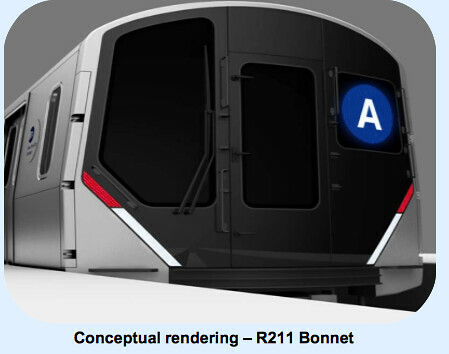 The MTA is now in the final stages of a firm design configuration for the R211 which will be delivered in 3 versions. A standard BMT/IND configuration, along with a SIR configuration, and a 10 car open-gangway prototype. If the open-gangway prototype is sucessful, MTA will then move to implement the configuration with the new design in the future. 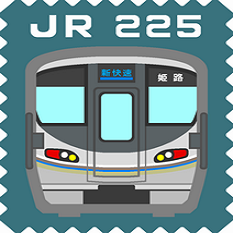 Award of the R211 contract is now expected for this year, and word is Bombardier will definitely bid on the contract alongside Kawasaki. The R211 design will be a departure from the basic design we are used to with the R143/160/179. 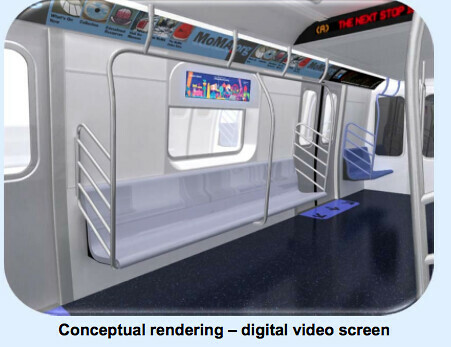 This will be the most futuristic, as well as advanced train MTA has aquired to date. 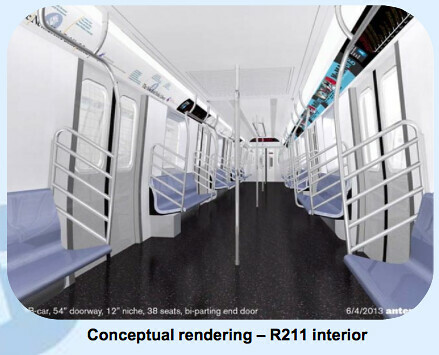 The R211 will also be the basis for the next generation of NYC Transit Subway trains for the future. 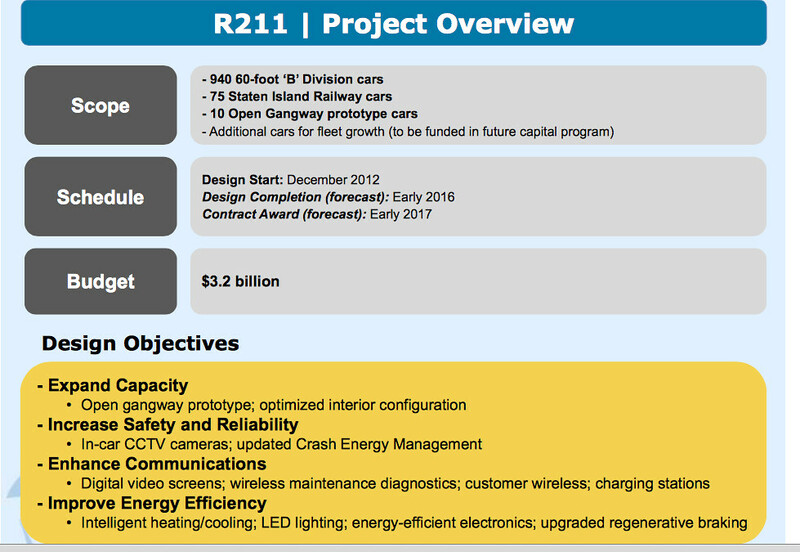 MTA now expects delivery of the R211 to begin right after the R179 procurement has completed delivery. Makes sense. Each decade or so sees a different design of subway car. It wouldn't make sense to continue the "millennium" design that came with the 142s and up. As for Bombardier bidding, they do build a workhorse fleet of cars, but it's like pulling teeth to get there, especially as of late with the 179 order. It would have made more sense, at least to me, to produce the gangway prototype first years ahead of the full order, test it and then implement it on the rest of the order. But it seems to there's not enough time or resources for that. I'm guessing the gangways would be used for the order replacing the R68/68A, or even the next IRT order for the R62/62A. I highly doubt it will have problems though. There are systems with tighter turn radii that employ them.